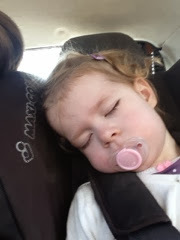 For a while now we have been having problems with our nearly three year old, it feels like in lots of areas things are regressing and as she gets older behaviour and habits are slipping. I remember conversations with Hubby around September where we confidently discussed getting rid of the dummy for her. She was only having it at nap time (as soon as nap was over she would give it back) and also we put a precautionary dummy on a string in her bed in case she woke up. It was this night dummy we were considering getting rid of because we'd often find the dummy at the bottom of the bed or down the side or unused. The day time dummy had been on the wane for a while too and she didn't need it to get herself to sleep. Over the last three weeks the dummy has returned during the day, almost all day, every day! Bubba had a cold and the dummy seemed to help her breathe but now she will whine almost all day to get the dummy and even when we are out she requests it (this for me was a big no no as she is nearly three and I vowed she would be rid of it before then!). The other night we even had trouble when hubby forgot to attach the dummy to her comforter - she woke properly, came to her door and dropped the comforter over the safety gate and demanded her dummy and then he spent the next hour or two trying to get her to go to sleep. This included rapid returning her to bed for over an hour...in my heavily pregnant state I think I sort of slept through most of the worst of it. We feel a bit of a loss as to why she now wants it all the time and if you suggest that only babies have dummies she happily agrees (after months of saying "me's not a baby, me is a big girl") it seems where the dummy is concerned she doesn't care. I'm not going to try getting rid of it until after the baby is born because I think we may have an uphill struggle otherwise. It's also not fair as this is her only comfort and a new baby is going to be a massive shock to all our systems. But why oh why doesn't she now want to be rid of the dummy?? Don't even get me started on the lack of sleep and the fact that three out of five nights she wakes up and it takes one or the other of us is spending most of the night trying to get her back to sleep.